Spreckelsville is located just east of Kahului in central Maui and just before Paia, Spreckelsville is a beach enclave on the North Shore of Maui. The area’s name is an homage to Claus Spreckel a German Immigrant and a major industrialist in the sugar trade and influential in Hawaii 1860-1900. He established Spreckels Sugar Mill in 1880 and the town sprung up around the mill to support it. Today Spreckelsville is an upscale residential neighborhood on the coastal side of Hana Highway between Bay Beach and the Maui Golf Course. Strong winds and high winter surf make this area a world class destination for surfing, kite boarding, and wind surfing. 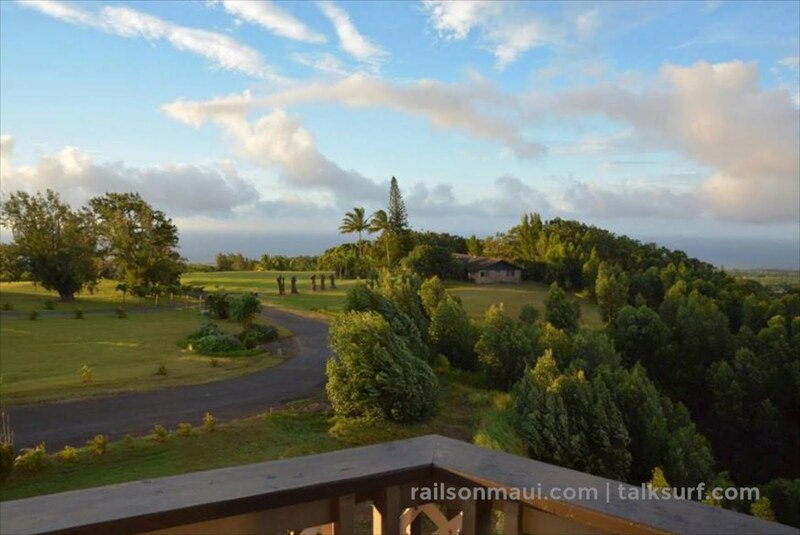 People are drawn to the North Shore of Maui for an alternative beach lifestyle that is a laid back, away from the hustle and bustle of touristy areas on the Leeward side of Maui. Homes in Spreckelsville are eclectic with homes on a golf course, one-of-kind trophy homes, beach front estates, custom house, small beach cottages on ocean front parcels, luxury condos at Sugar Cove, elegant retirement villas, affordable starter homes and charming single family homes. If you cannot find a home to suit your needs, there are vacant land parcels available for you to build your dream home. Here you will find custom homes, some on large parcels or ocean front or beach front offering spectacular ocean views. Luxury real estate for sale in this area often features extensive hardscapes with pools, spas for indoor-outdoor living and entertaining. People who live here enjoy easy access to ocean for their beach activities with the luckiest storing their gear steps away from where they will launch their rig for wind surfing or kites surfing or head out on their surfboard or stand-up paddleboard. Residents who don’t participate in the extensive outdoor activities that Spreckelsville has to offer can still enjoy watching windsurfers, kite boarders and surfers from their beach front homes. Boasting spectacular scenery, fabulous weather, a plethora of beaches and beach activities makes Spreckelsville a desirable place to live. Residents of Spreckelsville, called Sprecks by locals, are walking distance to the Maui Country Club with a new clubhouse, golf course, six tennis courts, swimming pool, fitness center, restaurant and ballroom. It is a short drive to Paia town with boutiques, art galleries, Mana Foods (the best natural health market on Maui), and restaurants offering dining and live entertainment. Locally fine dining is a short drive to Mama’s Fish House. Baldwin Beach Park is a long sandy beach that is perfect for walks, jogging and swimming as wind surfing and kite boarding are not allowed here. One end of Baldwin Beach is known as Baby beach because it is sheltered and good for keiki. Baldwin Cove is a seasonal beach that disappears with winter high surf. Paia Secret Beach is a nudist beach. Paia Bay Beach is great for boogie boarding in the winter. Hookipa Beach Park is the most famous as the windsurfing capital of the world.